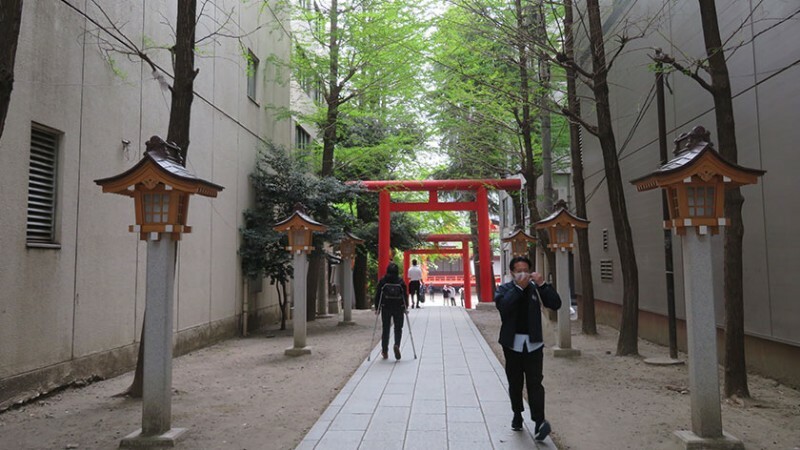 Literally surrounded by the tall buildings that make up Shinjuku, Hanazono Shrine is a great example of the ancient and modern mixing in Japan. 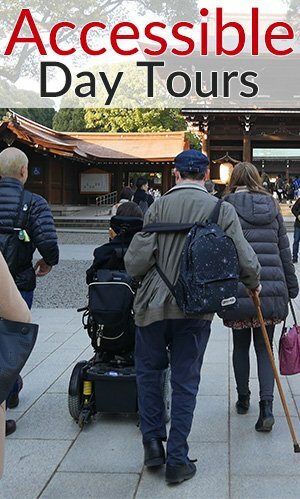 While the main hall is not accessible, the grounds are easy to see for wheelchair users. 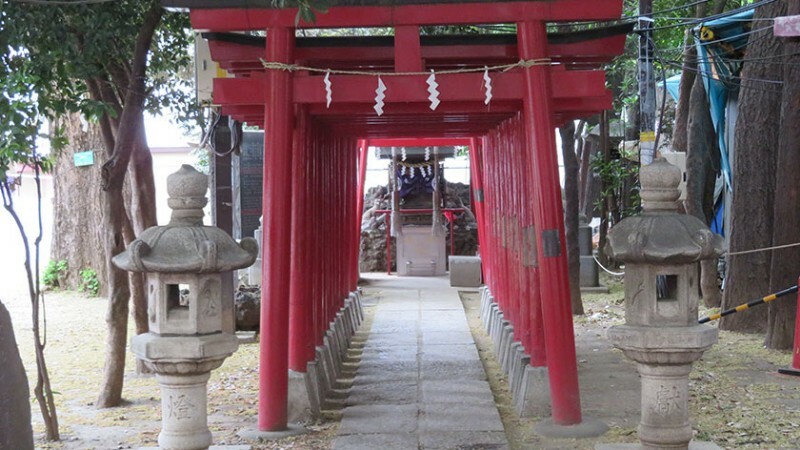 Hanazono Shrine was constructed in the Edo period by the Hanazono family but it is said that a form of the shrine already existed when Tokugawa Ieyasu came to Edo in 1590. 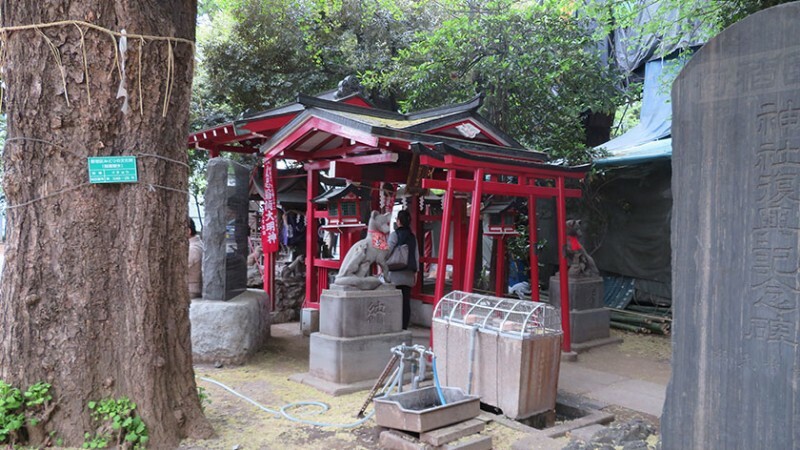 This Inari shrine – a shrine dedicated to Inari, the androgynous god of fertility and worldly success – is a favorite place for businessmen to pray for successful ventures. 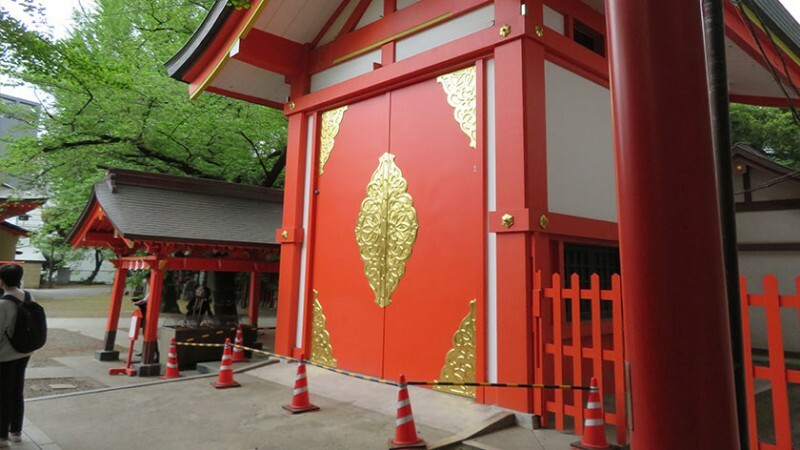 The shrine itself has undergone many changes, the biggest of which came after most of the shrine was destroyed in the fire bombing of Tokyo. However, the copper lion statues (komainu) at the entrance which were made in the 18th century have survived many fires and wars. In the 1960s and 1970s during Shinjuku’s heydey as the center of Tokyo’s counterculture, artists and performers would set up an ad-hoc stage and perform on the shrine grounds. While they were not popular wthe authorities at the time, those events are fondly remembered now and the shrine still ocassionally hosts performances. In November, Tori no Ichi is held at shrines around Tokyo and the grounds of Hanazono Shrine are lined with kumade (colorful, highly decorated bamboo rakes, that are believed to “rake in good fortune” and bring happiness to those who purchase and display them) shops and food stands. The shrine is free to enter 24 hrs, year round. 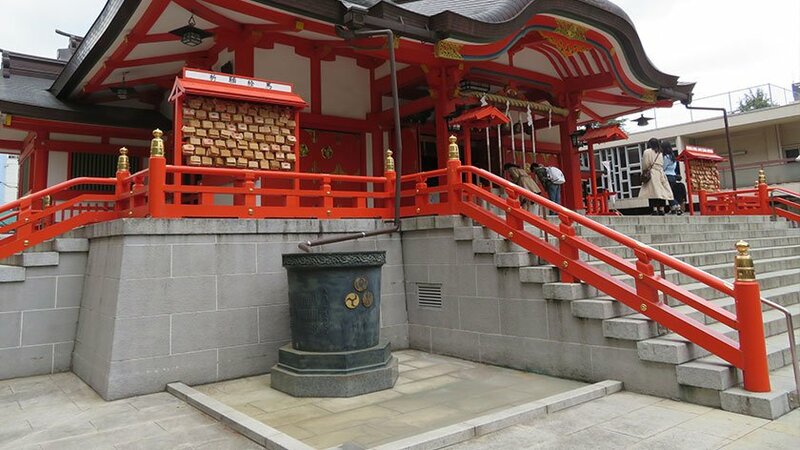 Hanazono Shrine is located near Shinjuku’s Kabukicho red-light district and can be reached after a 10-minute walk from Shinjuku Station (accessible) or about 5 minutes from Shinjuku Sanchome Station (exit C6 is accessible). 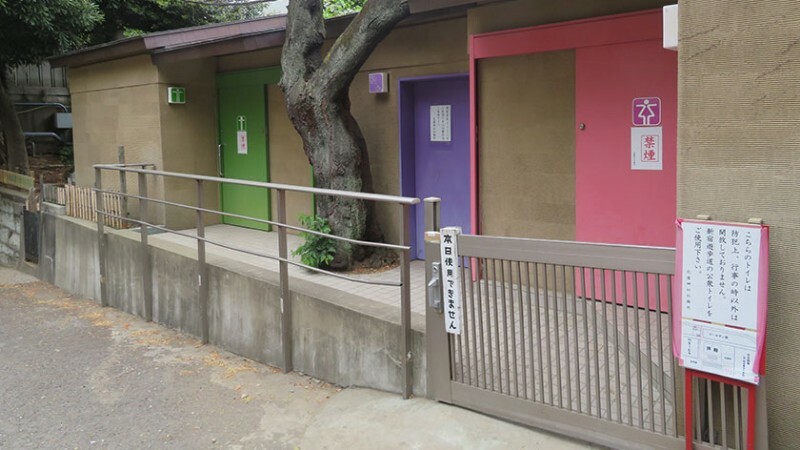 The Shrine has 3 possible entrances. The entrance from Golden Gai in Kabukicho only has stairs, but the entrances from either Yasukuni Street or Meiji Street are accessible. 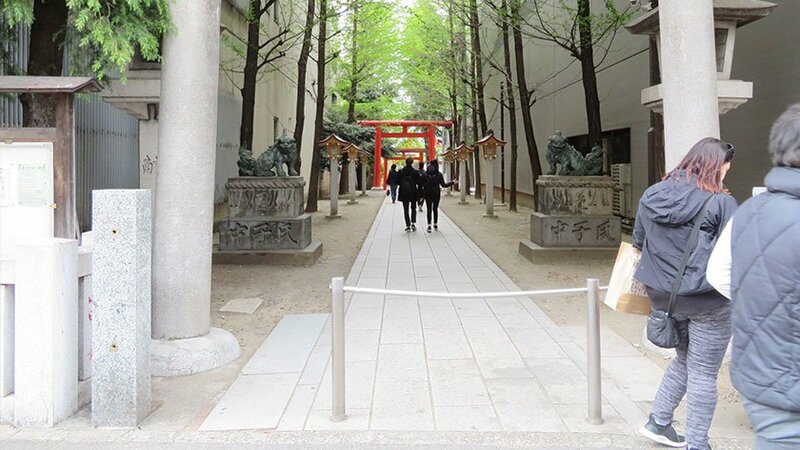 The main entrance from Yasukuni Street has a nice torii gate-lined approach and is recommended (though the entrance to the path is chained off in the middle, it is possible to enter to the side of the chain even in a wheelchair). 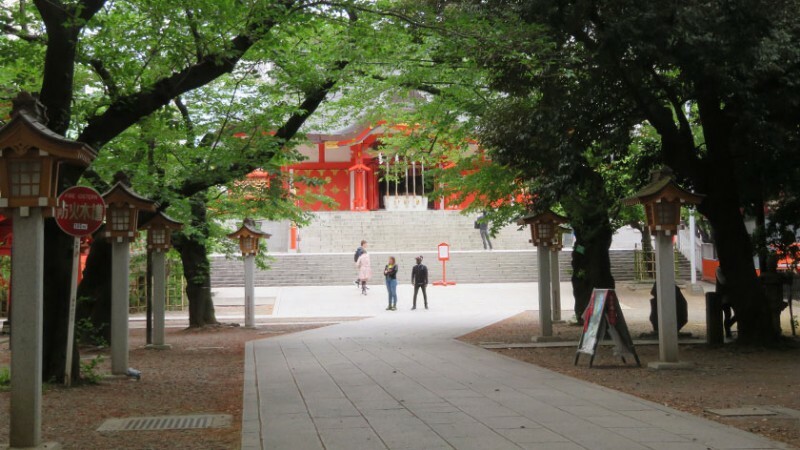 Paths inside the shrine grounds are made of smooth flagstone surrounded by areas of shallow gravel. As an alternative to the main stairs, a ramp located to the left (when looking at the shrine) leads up to the main shrine. 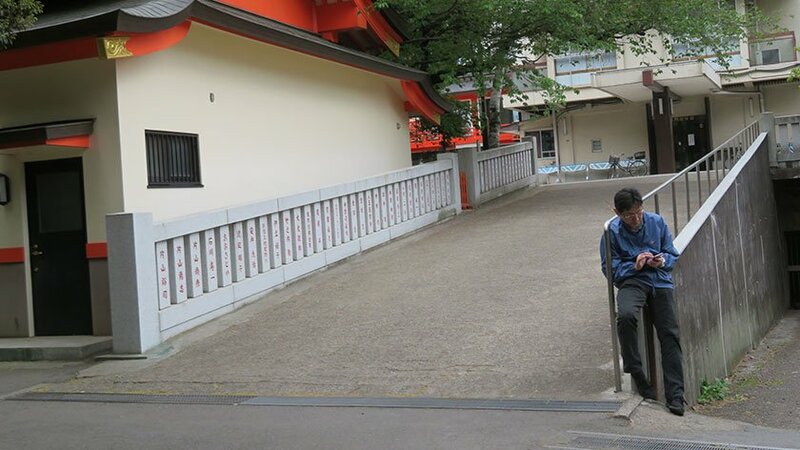 Unfortunately, the main shrine only has steps. 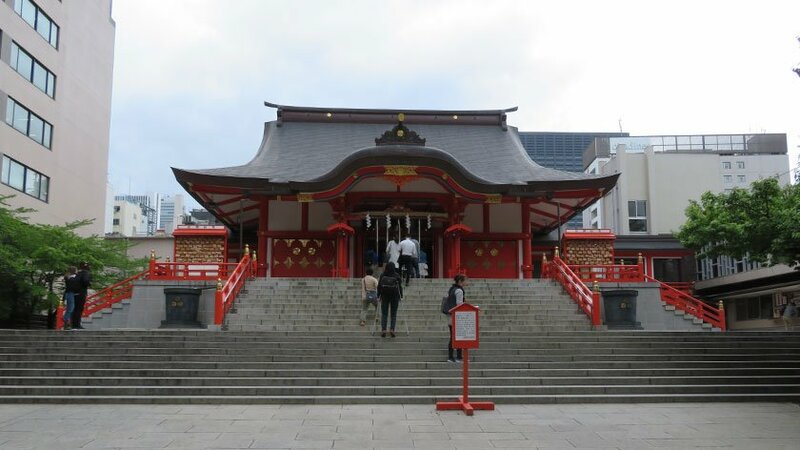 Hanazono Shrine is completely surrounded by tall buildings and is a great example of the mix of ancient and modern that makes up Japan. 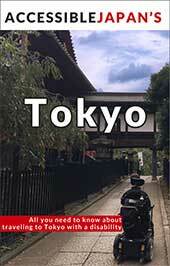 The shrine is an interesting place to pop by if you are already in Shinjuku. The offering box and main hall are inaccessible to wheelchair users, but grounds can easily be explored. 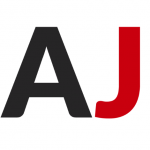 Leave your questions or comments about Hanazono Jinja here!